California's greatest and most authentic sparkling wine anchors this wonderful gift basket. If you are looking for that special gift for a special occasion, look no further. 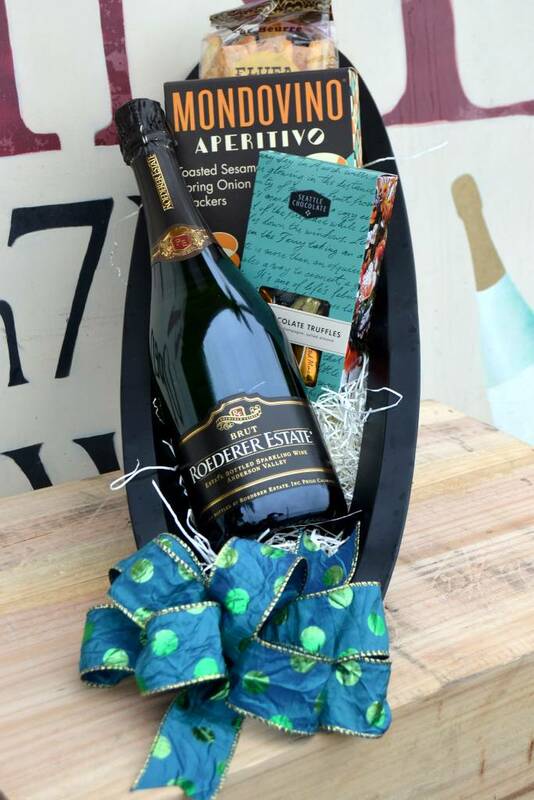 This basket offers California's finest and most delicious sparkling wine as well as buttery cheese twists, Mondovino spring onion crackers and a box of Seattle dark chocolate truffles.